Shahid Alvi Sid: The Man Behind Nagarpalika video AKA Arey Bhai Bhai Bhai | Wotpost. 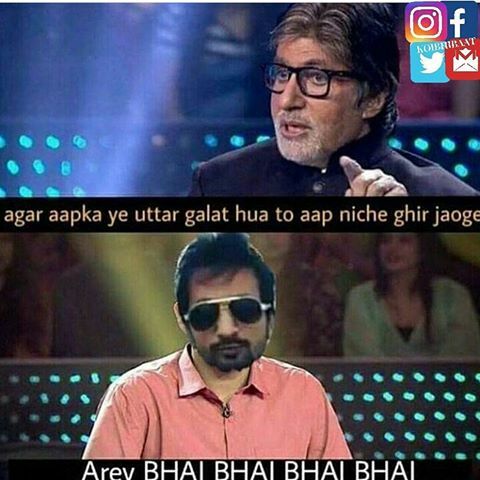 Nagrapalika meme, commonly known as Arey bhai bhai bhai, Bhai bhai bhai, Koi Nagarpalika ko bulao, is an Indian meme which was generated on Aug 20th, 2017. This phrase is a sudden response to someone who gets excessively emotional (usually angry) or does something outrageous. This literally translates to Aye bro, bro, bro. This response subtly carries the impression Hey bro, ‘you are losing your calm, take it easy’. The original video was an 18-sec clip, made by Shahid Alvi Sid and released on Aug 20th, 2017. He is a YouTuber from Kanpur, Uttar Pradesh and runs his channel named after his own name . In the video, Shahid was trying to focus the attention of netizens towards corruption and suffering because of it when suddenly he falls in a pit. It got viral because of the unexpected outcome from a serious situation. Thereafter, dialogues from the video like ‘Arey bhai bhai bhai’ and Nagarpalika ko bulao inki maa ka bh*sda madarch*d, along with a long trail of abuses were used multiple times in different contexts. Though, he mistakes few words in his dialogue by saying ‘gaddha bheje’ which is meaningless. Later he acknowledges in a follow up video by blaming it on Rajnigandha he was chewing. The video went viral and received millions of views. But because of deleting and uploading it multiple times, it currently stands on over 809,375 views. “Is desh me ho rahe bhrashtachar ko mitane ke liye hum apko aage ana pdega. 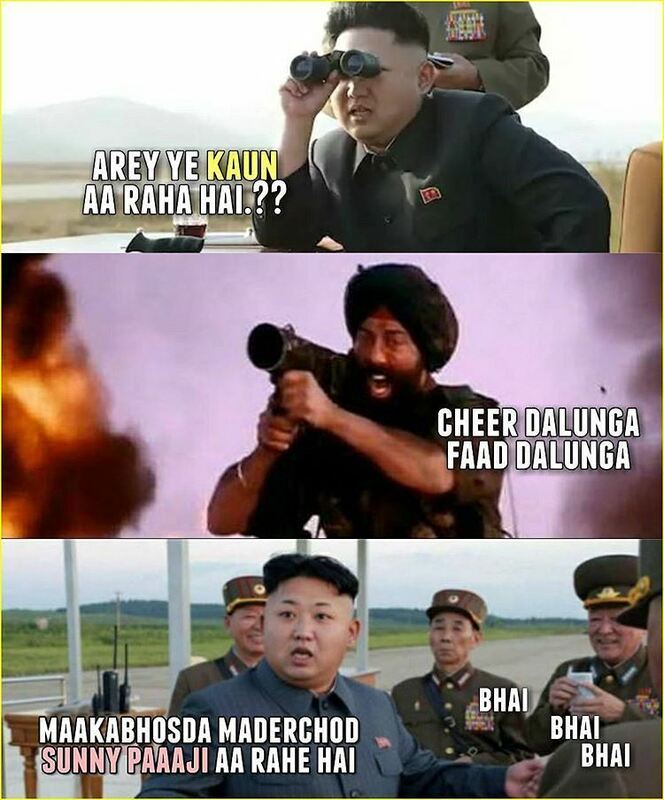 Humare aapke aage ane ke bad hi……..
are madarchod pehle nagar palika ko bulao, bhonsardi wali gaddha bheje.. 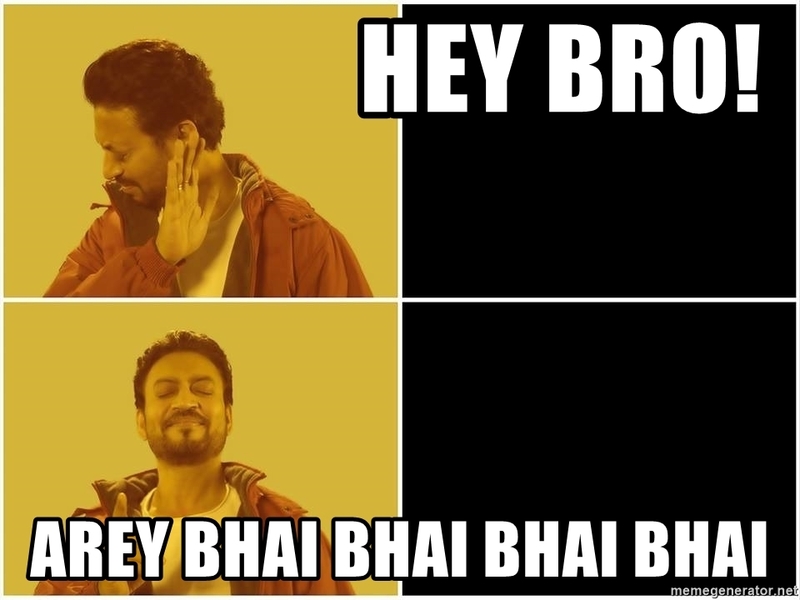 The Nagarpalika meme which is widely used as Arey bhai bhai bhai, can be translated to ‘Aye, bro, bro, bro’, and the other catchphrase ‘Koi Nagarpalika ko bulao’ (someone call the municipality). It can be used in various context only to add humor to the situation. For example, it is used in the context when someone is tripping over any hurdle or when someone gets slapped unexpectedly etc. Since August 2017, its memes have been in trend and used on various mashup clips to generate some of the funniest memes. Not just this, but the dialogue has become a common catchphrase to respond in comments on social media or in real life. A YouTube channel Be Indian on Oct 1st, 2017, used the entire dialogue in a compilation of several short video clips. It is one of the best nagarpalika Youtube videos so far. This video also went viral and has over 1.34 million views till date. After this video, many other creative and hilarious videos surfaced that also received millions of views. Mr.YetAnotherYouTuber uploaded a mash-up video on Oct 8th, 2017 where he used Nagarpalika meme in the context of various TV shows, movies, and clips. Scenes from series like from Game of Thrones and movies like Avengers etc were used to make this hilarious video mashup. The video received 649,955 views along with 8.5 K likes and 374 comments. On October 9th, another user with his YouTube channel by the name Mr. CoverMaker uploaded ‘Nagarpalika ko bulao with captain america civil war|Avenger ft. Indian memes‘ which had clips from the movie Avengers and the voice over from Shahid Alvi’s clip. It went on to receive over 91 k views and 1.4 k likes. However, the video to have crossed the bar of 1.5 million views was uploaded by a YouTube channel Imperial beats. Imperial Beats published a video with the caption “Nagar palika ko bulao Full Video | Most viral video of 2017 | use headphones | bhai bhai bhai”. The video was uploaded on 25th Oct, 2017 and received over 1,6 million views and 426 comments so far. Several fan pages and Facebook pages were created under the name of ‘Nagarpalika memes’. But, none of the pages seemed to gain attention as much as the YouTube video memes. Several pages and Facebook communities were created following the Nagarpalika and arey bhai bhai bhai trend. 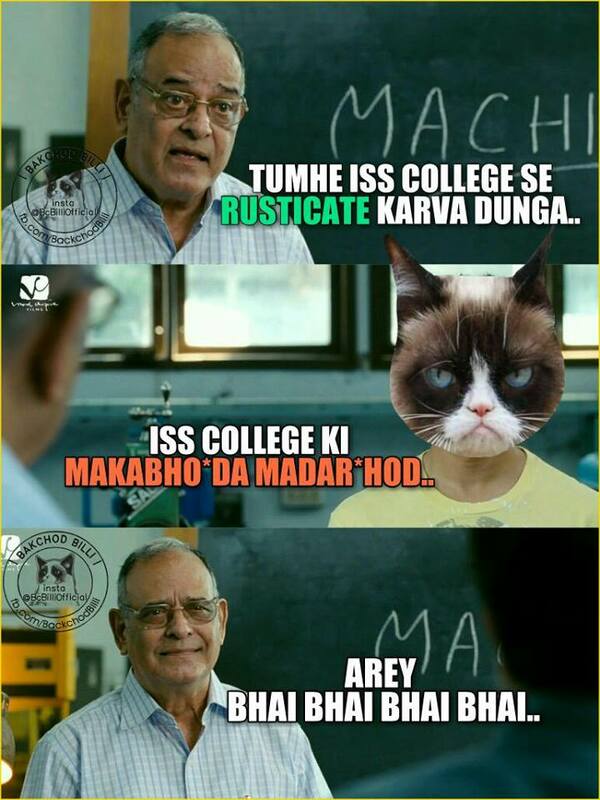 A Facebook page Zomical@zomical.in which has over 324,048 followers uploaded first of the Arey bhai bhai bhai memes. The meme was posted on its page on 29th September, 2017. It received over 4.5 k likes along with 1 k comments and 199 shares. 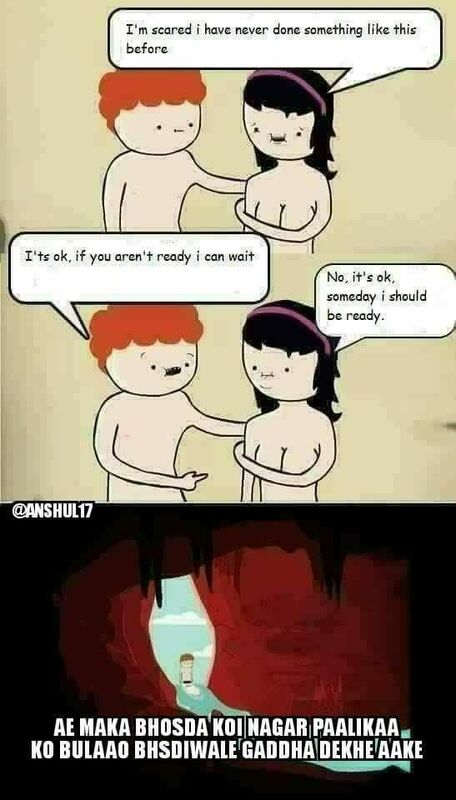 The meme got 5.4 k likes and 700 comments with 69 shares. 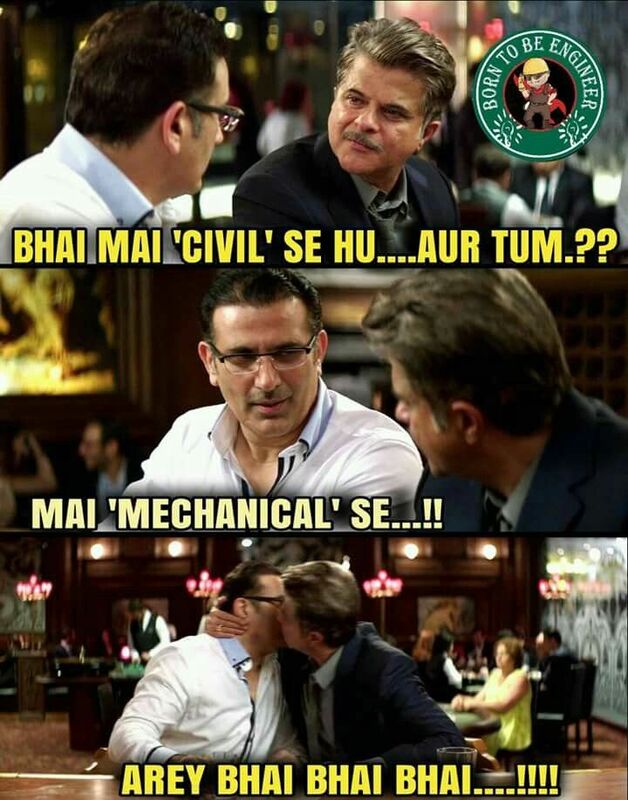 On 14th Oct 2017, Sarcasm Hub@SarcasmHubb which has a massive following of over 1,162,484 people uploaded a meme which got over 11 k likes, 4.6 k comments, and 2.8 k shares. It was a take on the conversation between Batman and Alfred where they talk about why do we fall. As expected, the answer revolves around Nagarpalika and the Arey Bhai bhai bhai catchphrase. Its Bunk Time , a Facebook page posted a video on 25 Oct 2017. The page has over 1.3 million followers and the video they uploaded showcased the people who became famous from memes for the year and included Shahid Alvi in the listicle. The video received 3.1 Million views and over 3.2 k comments with 24 k likes and 2,268 shares. 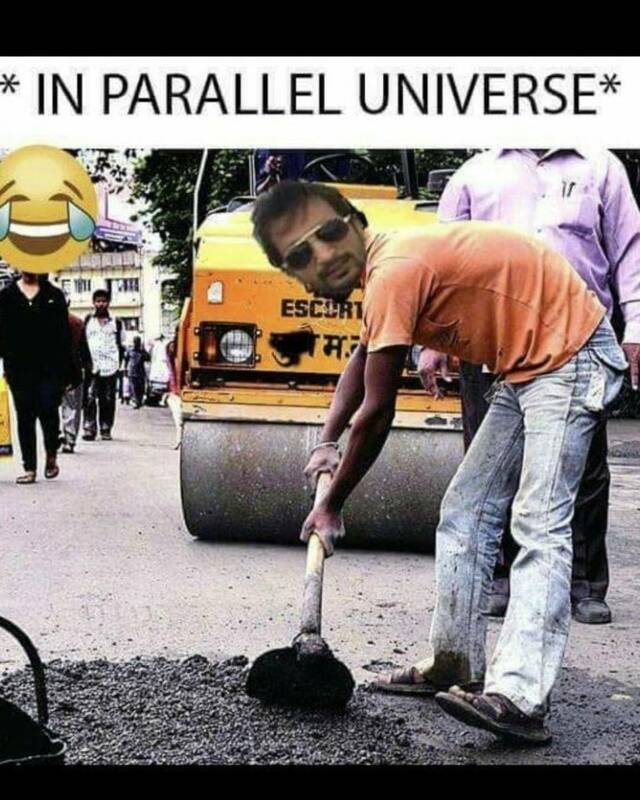 The trend of Bhai bhai bhai reached USA when a page 99 Troll that has over 1.6 million and operates from New York, uploaded a meme with the same caption on 4th Jan 2018. 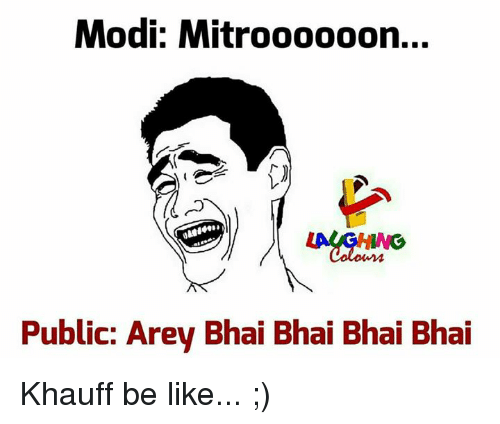 The post got over 3.9 K likes and also 143 comments with 251 shares. 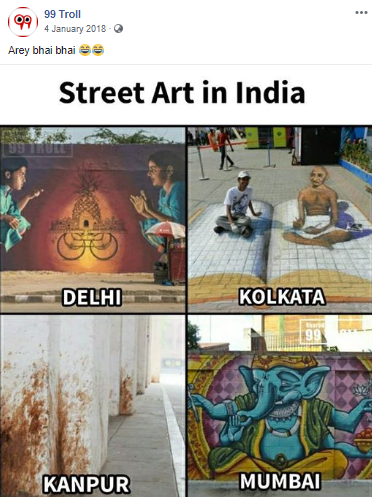 It showed the different kinds of street art in India, featuring the stain marks of Pan masala on walls, as the official street art from Kanpur. 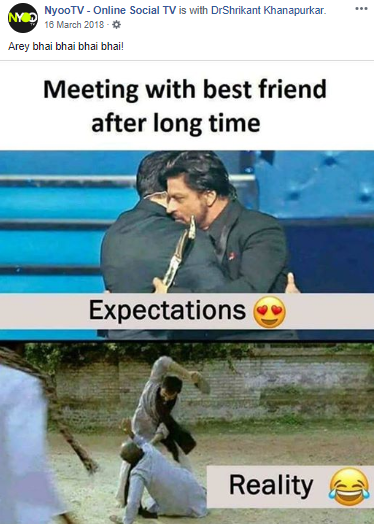 On 16th March 2018, another channel called NyooTV – Online Social TV@Buzzonsocial uploaded a meme with an image of SRK and Salman Khan meeting after a long time and sarcastically placing the text, ‘When best friends meet after a long time’. The page has over 1 million followers and likes and the post received 1.2 k likes along with 723 comments and 86 shares. 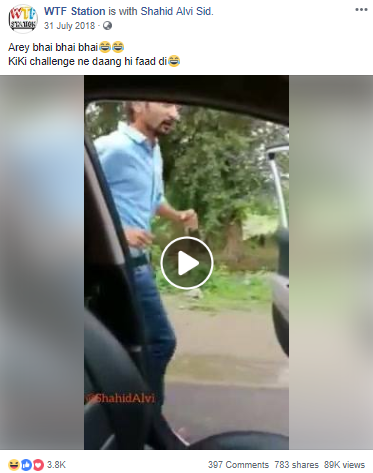 Another Facebook page WTF Station which is a media/news company from Tokyo -Japan, and has over 5.2 million followers re-posted a video of Shahid Alvi. This was uploaded by them on 31st July 2018, in which Shahid was shown performing the KIKI challenge. His car gets stolen in the end because that’s what happens in Uttar Pradesh if you trust a stranger. It received over 89 K Views on Facebook and had 3.8 k likes. It also went to get around 615 comments with 783 shares. 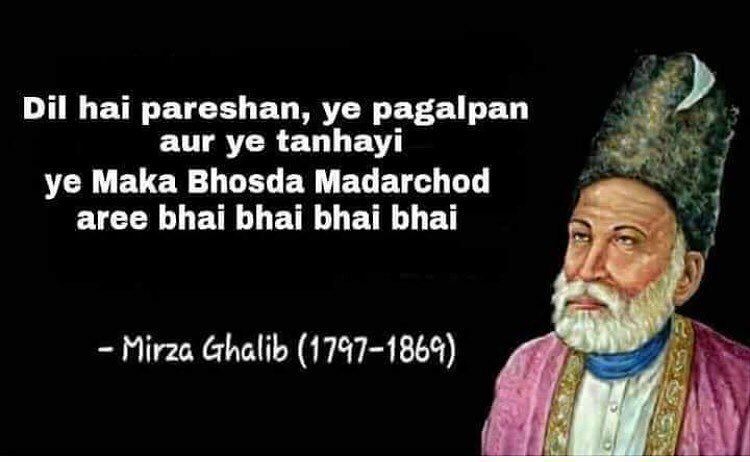 A Facebook page called Ye Bik Gayi Hai Gormint uploaded a video meme on 4th March, 2019, which showed an orchestra singer taking a haircut in the middle of a baraat (wedding ceremony) going on. The performer even sings with two voices while the barber is busy chopping off his hair. The caption ‘Arey bhai bhai bhai, was added to the video and as expected netizens loved it. The video went on to receive 20,052 Views , 201 comments and 137 shares so far. A community with the name Nagarpalika Memes was created on 3 October 2017. The page featured a few memes and got over 1,745 followers. 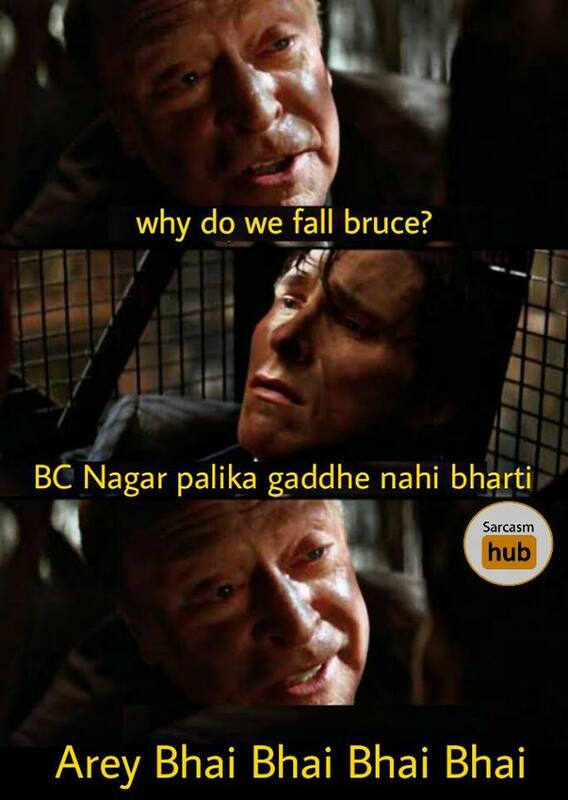 Another community called Nagarpalika Memes was also formed that has over 4.9k followers so far. 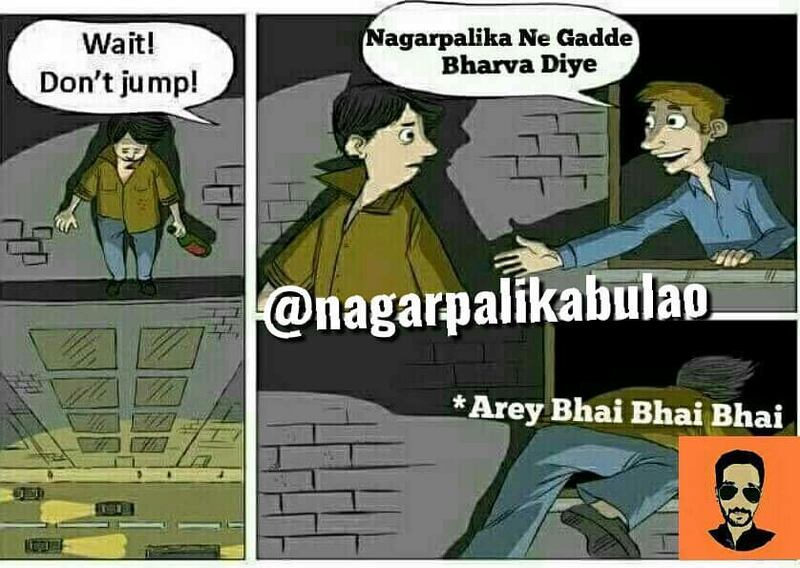 Another Facebook page called Nagar Palika Ko Bulao uploaded a meme on 21st Oct, 2017 which was made on a pre-existing template of the suicide guy who usually plunges to his death when he hears something outrageous. But this time, on hearing that Nagarpalika has filled the potholes, he immediately jumps back inside the house. After the initial fame that Shahid received on YouTube and other social media platforms, he started posting videos regularly on his YouTube channel. The official name of his YouTube channel is Shahid Alvi and has 232,465 subscribers. The second original video that he posted received more than 1 million views. The video was published on Sep 6, 2017. The video went on to receive 21 K likes,761 comments and 1,097,073 views. The next video that crossed the bar of a million views was published on Oct 16, 2017. In this video, Shahid Alvi (as a reporter from Chutia news) interviewed a fictional character who was loosely based on the characteristics of Ajay Devgn and Kamlesh(Soluchan guy). The video went viral and got 1,144,392 views with 24 k likes and 785 comments. The third video that gained massive attention was uploaded on his official YouTube channel on Jan 3, 2018. The 2 min 27-sec long clip was viewed over 1.2 million times and had 49 k likes. It also received over 2,072 comments, which is a huge number indeed. On Jan 27th, Shahid uploaded an extended version of the first video that made him an internet sensation. The video showed how he proceeded towards fixing the corruption and the potholes (gaddha) in a hilarious way where he gets kidnapped in the end. The video received 818,724 views, over 47 k likes, and 903 comments. Following the trend of KIKI challenge, he uploaded a video on Jul 29, 2018 which showed how a stranger can steal your car if you trust them. The video received 852,898 views and 23 k likes along with 1,854 comments. Shahid followed the trending news and kept uploading hilarious depiction of any ongoing viral thing and maintained his presence on his YouTube channel. Yet another popular video of Shahid surfaced following his character of Chutiya news reporter on Oct 25th, 2018. This time he was interviewing the facts behind the Thai-Thai police event that took place in UP. The video was a 5 min 24-sec long clip which even had an edited advertisement of Fogg deodorants, where the original dialogues were replaced by Shahid’s voice over. This video received over 190,543 views, 13 k likes, and 1,219 comments. This year, he has just uploaded two videos so far. The last video that was uploaded on his YouTube channel was in regards to mocking Tik-Tok videos and also giving the message that you should not raise hands on women but you surely kick and beat Tik-Tok laundas (boys) who act like girls making idiotic videos. This 58-sec clip was uploaded on Jan 20th, 2019. The video has only 79,552 views and over 1058 comments so far. Also, it has over 11 k likes.